This is a simple example of how you might conduct the first step in identifying the noise/s. John has moved to a new QTH has has some noise issues. John is using the log sheet and profiling sheet found under Templates. He is keeping a detailed journal. John notes that every time he turns on 80, 40, 30 and 20m he has noise. Over the course of the week he makes these observations in his log and profile sheets. He also comapres the observed noises to reference sources which are linked from this site. He has used his beam antenna to get what appears to be a signal lobe to the south. One LED downlight in the shack is causing horrible broadband (S8) noise across HF. After turning off the main power supply and running off a 12v battery there is no other noise in the house. He appears to be suffering some power line noise emanating from the south. 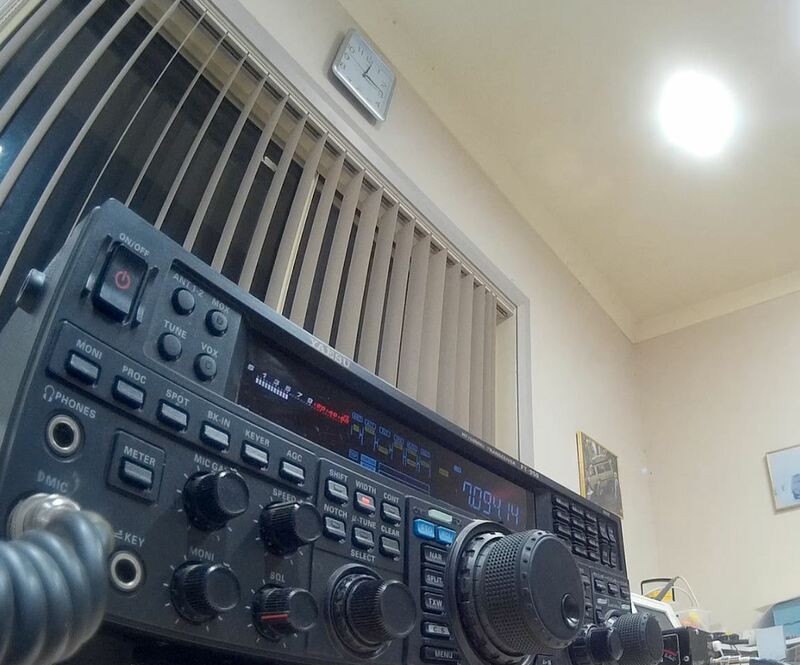 S6 on 20m. He appears to be suffering some broadband noise – possibly from a neighbour’s house. He also have electric fence noise from the acreage over the road. Once he has completed this basic diagnosis, he will want to track down the source of the noise and take action on the noises over which he has control. Once that is done, John can then move to identify and hopefully address the noises external to his property.